Lisa Talks About... - Page 195 of 201 - Lost in a book somewhere. Send tea. It is not often, indeed I don’t think that it has ever happened, that a book has me choking back the tears and forcibly swallowing the lump that has formed in my throat back down. But then The Opposite of Loneliness is no ordinary book. In its complete form the book is called The Opposite of Loneliness Essays and Stories. 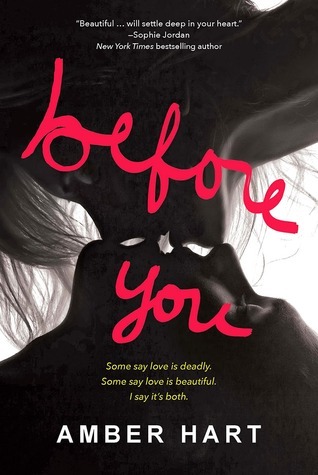 However, the author, Marina Keegan, cannot be held responsible for the onset of my emotional spiral. Marina Keegan is dead. The introduction was provided by her college professor at Yale from where Keegan graduated in 2012. Five days after she graduated she was killed in a car accident. Entering this book I tried not to let the emotional impact of the writer’s death colour my opinion of the stories. It is too easy to do; glorify the poor girl who didn’t live to see her novel published. Fortunately, the beauty, truth and outstanding quality of Keegan’s writing meant that I wouldn’t have to worry about that; a fact that makes Keegan’s death all the more poignant. The collection of short stories is simply breathtaking. The fact that someone so young, who hadn’t really lived, managed to find such an individual voice is beyond impressive. The stories are entertaining, sharp and beautifully written. Keegan’s collection of essays covers a wide range of topics from the beaching of whales to the uncertainty of adulthood. Equally as impressive as her short stories her essays are filled with passion and fire, her words jump off the page and hit you with the sheer honesty of them. In the titular essay, The Opposite of Loneliness, the final essay that Keegan had produced for Yale Daily News, she told her fellow classmates that they were “so young”. She repeated the sentiment, trying to make her classmates realise that they had time to make or do things that they were passionate about. In her short time on this plain Keegan managed to leave her mark. This book blew me away and I am genuinely saddened that the world of literature lost a promising writer before she truly had chance to shine. The Opposite of Loneliness Essays and Stories by Marina Keegan is available now. Holly Jefferson is a lonely woman. Her life consists of spending time with her dog, working in her cake shop and being the charity case of her older sister Martha who worries that Holly spends too much time alone. The reason Holly is lonely is because she is a widow. Her husband Charlie died nearly two years earlier and in that time Holly has managed to alienate nearly everyone in her life. She has a routine of eat-sleep-work and it is the only thing that is getting her through the hard and lonesome days and nights. 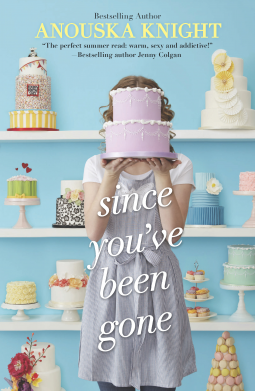 However, after a chance cake delivery Holly meets someone who shakes up her world. Holly, begrudgingly and tentatively allows Ciaran Argyll into her world and it is through his tenacity and determination that Holly comes back to life. But will the memory of her dead husband stop her pursuing happiness? Chick-lit often gets a bad name. Mainly from those who would consider themselves serious writers and in turn those who consider themselves serious readers. It is assumed that if a book has a light and fluffy cover or if it has a happy ending then it can’t at all deal with serious issues or be in anyway important literature. Those who think that are both prejudiced and wrong. Chick-lit is wonderful. There, I’ve said it and I stick by it. 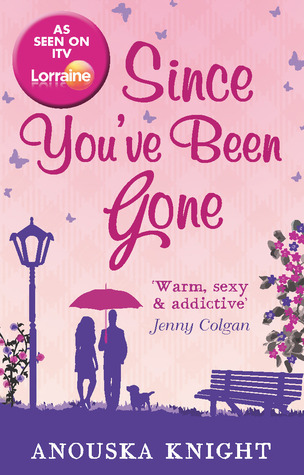 Since You’ve Been Gone is the debut novel from Anouska Knight, an author she was brought to light by winning a talent competition featured on ITV’s Lorraine and Since You’ve Been Gone is a wonderful example of good chick-lit. It has everything you could want – a strong yet bruised by life heroine; a dashing yet misunderstood hero and a colourful supporting cast of characters to boot. The comfort that comes with this book is that you know that the guy is going to get the girl. Yes, along the way there are going to be wacky misunderstanding and misconceptions between the two and yes there will be a few moments when you will yell “kiss him, you fool” at the book but that is what makes chick-lit the perfect read. Knight has managed this beautifully. She makes you fall in love with Cairan along with Holly. When Holly feels guilty that she is betraying the memory of Charlie, her dead husband, you too feel her guilt and shame. Equal to all of that you desperately will Holly and Cairan to be together with all your might. The good thing about chick-lit is that the majority of the time there is a wonderful happy ending. Anouska Knight will not disappoint her fans. Since You’ve Been Gone by Anouska Knight is available in the UK. It will be available in America from July 29th 2014.